Multiflex casegoods are lightweight, strong and made entirely from laminated, cross-ply and molded plywood. Clear or Classic finish on American Walnut veneers are complimented by the exposed mitred and curved plys of the geometric case and molded plywood pulls and legs. 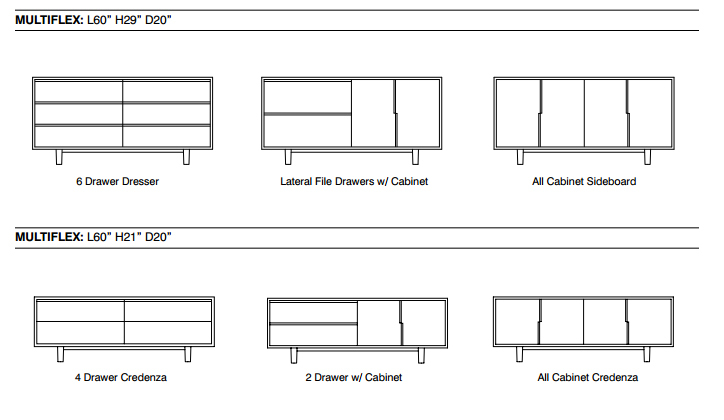 Multiflex is available in a range of unit sizes and storage configurations. Made in the USA.